All High-Lift Pallet Trucks will work happily with open bottomed pallets e.g. Europallets and Stillages. They will not work with "Full Perimeter Board" pallets. 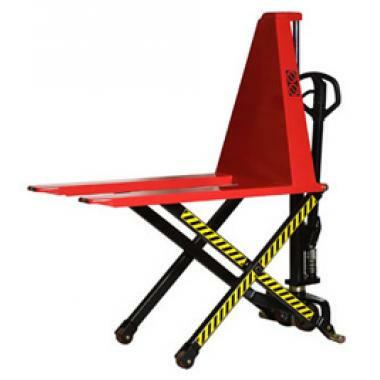 Scissor Pallet Trucks aid manual handling and are a useful truck to have around any factory. If your application is a heavy duty one, then you should consider the single hydraulic ram "Pegasus" High Lifter. 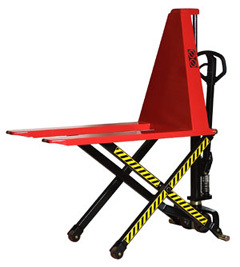 They have less working parts and are more reliable than "Telescopic" lifting arrangements. Also the pumping effort is constant too!